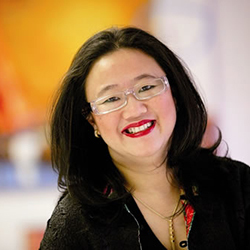 Christine Khor is Managing Director of Chorus Executive (www.chorus-executive.com.au) an executive talent management and recruitment agency. With 15 years of experience in recruitment and over 12 years working for leading companies in product and marketing management, she now specialises in executive recruitment, talent assessment, coaching, mentoring and personal branding. In 2012 Christine made a life-changing trip to Uganda with The Hunger Project. Later that year she was appointed to The Victorian Development Board of The Hunger Project and in 2014 was appointed Chair. Christine is passionate about helping people to achieve their goals, whether they be building a career, a team, a business or ending poverty and hunger in their community.